Growing a self-sustaining plant ecosystem in the classroom is a fun and hands-on way to teach students about ecosystems as well as the water cycle. 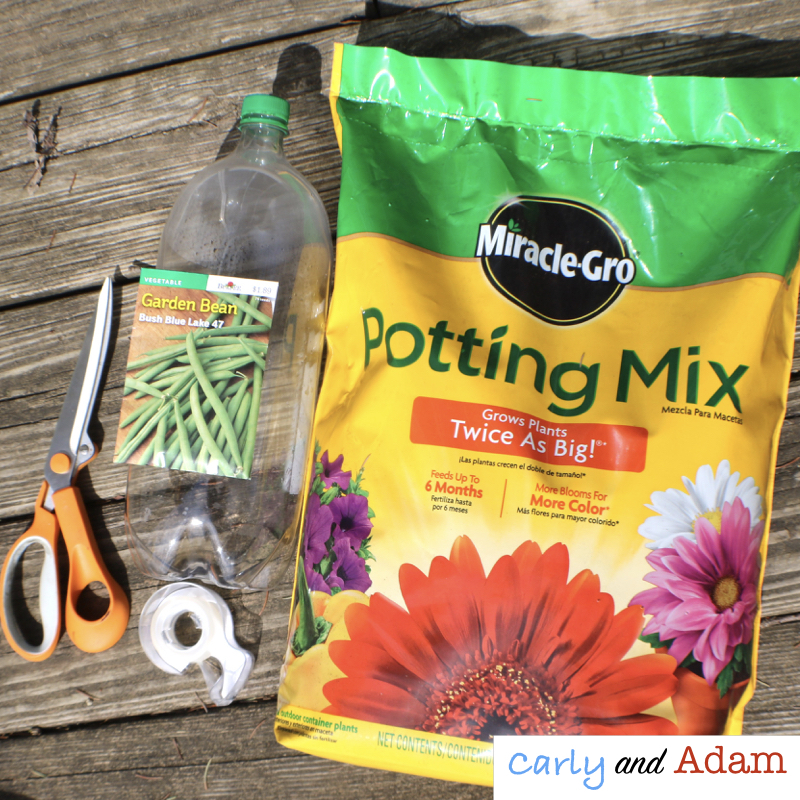 To complete this experiment you will need clear plastic 2 liter bottles, seeds or small plants, soil, water, scissors, and tape. First, you will need to cut the clear plastic bottles into two pieces. The bottom piece should be approximately 4 in tall. Due to the complexity of this step you may choose to do this before beginning the experiment. Have students fill the bottom piece of the 2 liter with soil leaving approximately 1 in of space at the top. Place 3-5 bean seeds in the soil around the outer rim of the terrarium. Pour just enough water into the soil so that it is damp. Next place the top of the bottle back onto the bottom piece and be sure that it is sealed. The terrariums should be placed in a light and warm place out of direct sunlight so that the water does not evaporate. Since the terrarium is self sustaining the water will continue to cycle through the ecosystem without needing any additional watering. Have students conduct weekly observations and record their findings in a journal. You can find a copy of a student journal with weekly recording sheets our our Build a Self-Contained Ecosystem STEM Activity Pack. For each week students should be recording their observations and drawing a picture of the seeds with the labeled parts that they observe. The above picture is an example of a bean seed during week 2 of the experiment. At the end of week 3 talk with students about what they think is the best environment for plants to grow. Students should come to the conclusion that plants need sunlight and water to grow. The bottom picture is an example of a bean seed during week 3 of the experiment. If you are interested in growing a self-contained plant ecosystem in your classroom you can find more detailed instructions including diagrams, photographs, examples, and a student journal in our Build a Self-Contained Ecosystem STEM Activity Pack. Apr 11 Standardized Testing is Over...Now What?